Ya’ll, I have read something out of the ordinary for me. I read a NEW book. Not new to just me but new to everyone. I don’t read new stuff, I’m too busy trying to catch up on all the great old stuff I’ve missed. (Except I will be reading Go Set A Watchman this summer). And this new book? This new book is also a Young Adult book. What? Whaaat? Sugar is a seventeen year old girl who is extremely overweight. Her real name is Mercy, which I think is beautiful, but she took on the nickname Sugar at a very young age when she showed enthusiasm for all the junk food that was continually offered her. Sugar lives with her mother who is morbidly obese, to the extent that she is bedridden. She also lives with her older brother, Skunk, who is mean, abusive and such a loser. (I’m sorry, I never call anyone a loser, but this guy was atrocious, despicable and a sorry excuse for a human being.) Sugar’s father left when she was very young and she goes about her days living in a cycle of verbal abuse, physical abuse and emotional binge eating. Life is horrible for her. Every. Single. Day. Well, someone comes along and, long story short, Sugar’s path to health and wholeness begins to see the light of day. Now, I’m not going to say anything about the someone; as it is one of the best parts of the story. I will say that I was completely enchanted by this person, but not fooled for one second about the way things turned out. P-r-e-d-i-c-t-a-b-l-e. However, the predictability does not diminish this great story. I want to be clear on that. 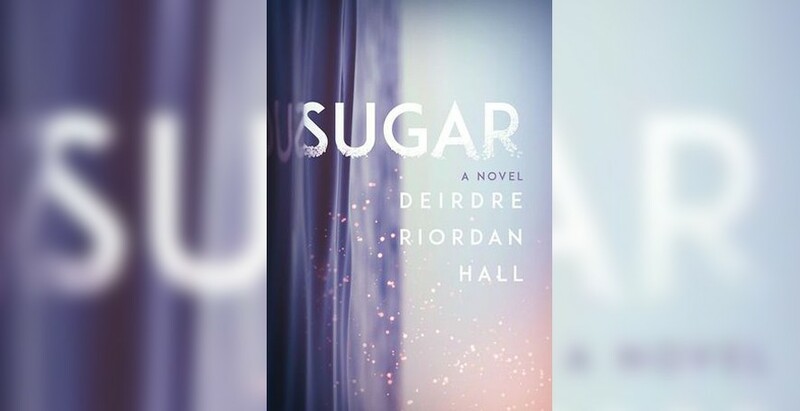 There are a lot of heavy themes going on in SUGAR. If it’s not your thing to read about obesity, verbal abuse, violence, abandonment, sexual assault, bullying or death; you might want to steer away from this one. But I promise you, it sounds worse than it is. I actually was relieved that none of these story lines overwhelmed me as the reader. And ya’ll look, I found a fictional teenage character who feels the same way I do about foul language! There is a lot about the comforting affect food can have on a wounded soul. If this is something that you have never understood, the author does a beautiful job of describing when and how and why Sugar eats. And then she goes on to describe the physical and mental effects that the food provides for her. I came to know, understand and love Sugar. I wanted to see her triumph. I felt like I had the privilege of watching a real person go through the process of overcoming. It felt realistic in the scope of time, not forced but truly believable while maintaining the mood and maturity of adolescence. Definitely have to add this to my TBR list! I have not heard of this one. Sounds pretty intense. I really feel for people’s obesity issues. Not easy to read about perhaps.